New Delhi : On the occasion of WHO World Health Day on April 7th, Public Health Foundation of India (PHFI) launched India?s first mental health awareness campaign and website dedicated to young people, It?s Ok To Talk, through a series of talks and a multimedia exhibition in partnership with Instagram. The event took place only a few days after the Mental Healthcare Bill 2016 was passed in the LokSabha. 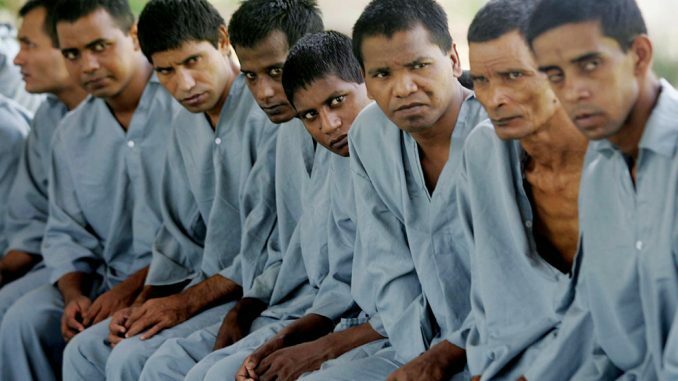 The latest WHO estimates show that 7.5 percent of Indians suffer from major or minor mental disorders that require some kind of intervention. The event brought together youth from across the NCR, mental health experts, advocates and survivors who highlighted the central role of disclosure and talking in the recovery of mental health problems and in breaking down stigma. Launching the campaign Prof. Vikram Patel, who works with the Public Health Foundation of India and Harvard University said, ?We need to encourage and support people to talk openly about depression, to promote knowledge and skills in the community on self-care and to demand action by the government to improve access to clinical interventions for those who are severely affected. It?s Ok to Talk in this context, offers a space for young people to share their accounts of struggle and recovery. There is no doubt whatsoever that we must talk about depression more openly, but we must ensure that people experiencing depressive symptoms are always at the heart of the conversation.? Also speaking at the event were Jo Agarwal and Ramakant Vempati (Co-founders, Touchkin), Reshma Valliappan (artist and mental health activist), Jhilmil Brekenridge (poet, author and mental health activist), Dhruv Visvanath (solo percussive acoustic guitarist), Natasha Noel (yogini, athlete and writer) and Pramada Menon (queer feminist activist). One of highlights of the event was a unique exhibition curated with Instagram featuring stories of wellbeing from nine young Instagram users across India. The exhibition featured artwork by prominent mental health activist Reshma Valliappan, author and yoga enthusiast Natasha Noel, artist and founder of Fearless Collective, Shilo Shiv Suleman, photographer, Nayantara Parikh, VisfotakSamagri, Ankha Millo, Deb Roy, Khushnaz Lala, Gauri Arora, as well as by upcoming young artist Sonaksha Iyengar. The exhibition explores everyday struggles of mental health and barriers such as stigma and lack of acceptance. Attendees were encouraged to use the #ItsOkBaatKaro while posting videos and photos. The website http://www.itsoktotalk.in/ which is now live, offers youth across India a safe space and community to share their experiences with mental health, mental illness and wellbeing through submitting entries in various media forms (blogs, videos, photos, music, social media posts, art, etc. ).